This looks really a good potential . 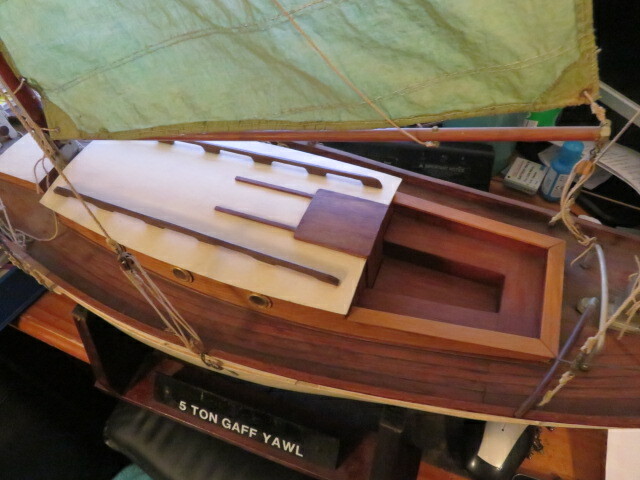 I don't buy models off eBay as I don't know what I am getting in to...…. 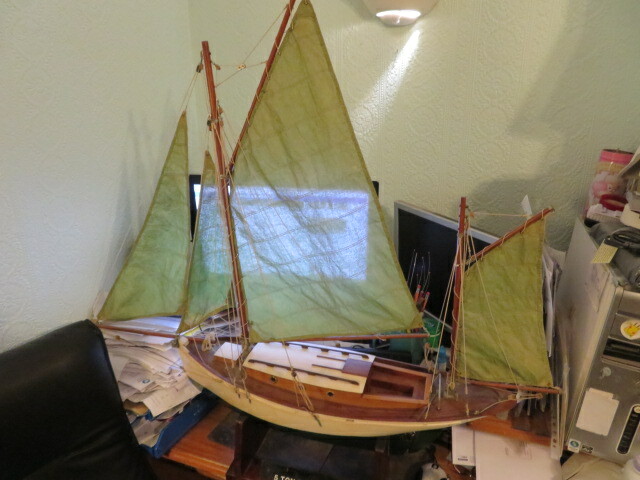 what do you guys think……..with some nice proper rigging and brass bottle screws...……...does it have potential...……..
and of course I'd change the name to DIANA!!! I reckon it is very undervalued at the moment and guess I could get it for a little over the ton or short of 150...………….hope i'm right. 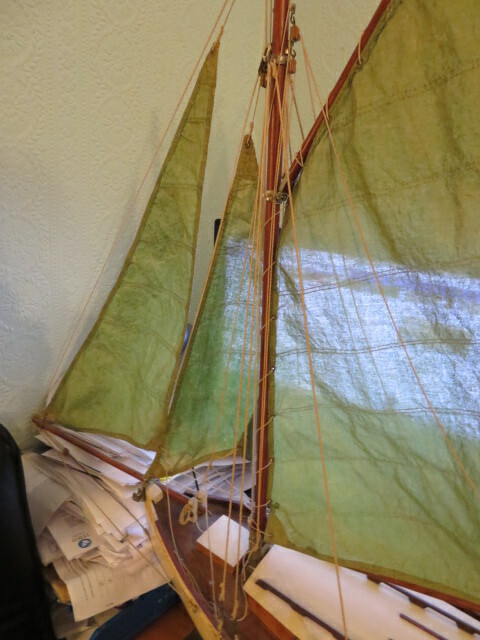 well, I got the sweet little thing for 62 quid....which I'm pleased about...……..going to re-rig it with new cord, brass ferrules and brass working bottle screws, and then enjoy sailing it next summer. I remember going fishing in fleetwoods lake for a friends square rigger years ago........he was confined to a scooter so in went muggings fully clothed.……...I did find it but was soaked head to toe and so it was a trip home for an early bath for me, lol...…….similarly he hadn't fixed his hatch...…………...I vowed then that all my hatches would be wave and water tamper proof from then on...……...going to collect it tomorrow., lol. 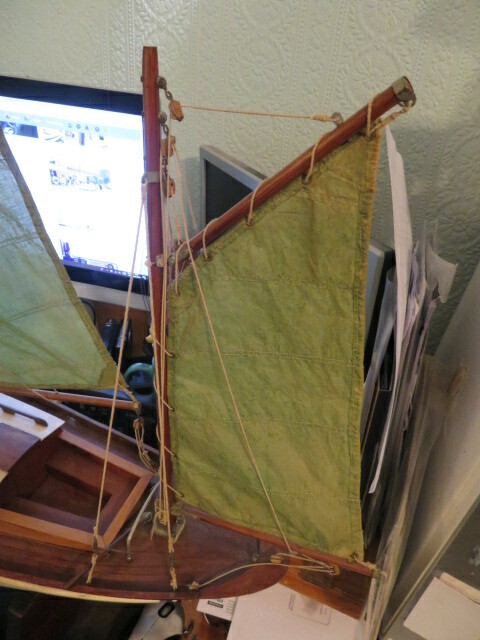 well this is what I paid £62 quid for and its an absolute gem...…just needs a good clean.a 5 ton gaff rigged yawl! 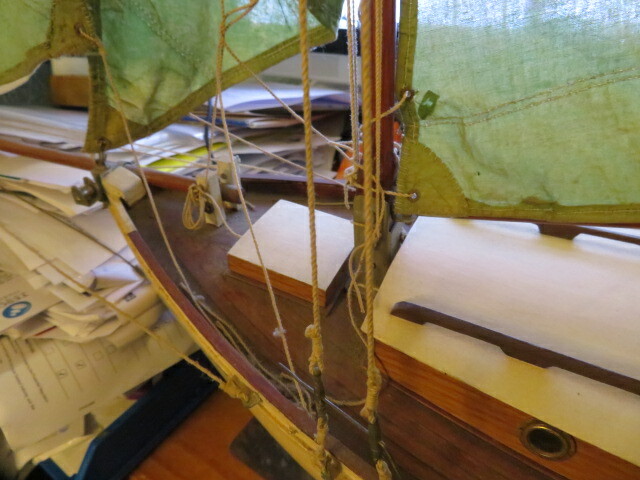 double diagonal planked hull, and resin sealed inside.....beautiful steel galvanised mast and rigging fittings, a motor and a servo to the rudder......needs sorting inside but that wont take more than a few hours, and then a good clean and I have my own beautifully built sailing boat...…..can't wait for the summer...……..62 quid well spent.